O God, who in the celebration of Easter graciously give to the world the healing of heavenly remedies, show benevolence to your Church, that our present observance may benefit us for eternal life. Through our Lord Jesus Christ, your Son, who lives and reigns with you in the unity of the Holy Spirit, one God, for ever and ever. 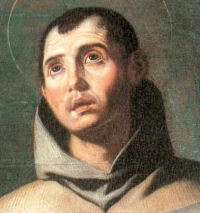 According to the 1962 Missal of St. John XXIII the Extraordinary Form of the Roman Rite, today is the feast of St. Paschal Baylon, who lived and died in the kingdom of Aragon, Spain. He spent his early years as a shepherd and often gave religious instruction to the shepherds on the hills of Aragon. At the age of twenty-four he entered the Franciscan Order and embraced the humble, austere life of a lay brother. He was noted for his devotion to the Holy Eucharist. Pope Leo XIII declared him protector or all Eucharistic Congresses and works. His feast is no longer on the calendar in the United States. Paschal Baylon (named after the day of his birth and death: Pentecost Sunday—Pascha Pentekostes) was a simple, pious shepherd boy who later became an ardent spiritual son of St. Francis and the heavenly patron of adorers of the Most Blessed Sacrament. He belongs to that illustrious circle of saints who, by heroic holiness of life, refurbished the Church's crown that had been desecrated by the heretics of the sixteenth century. He hailed from the Spanish section of Valencia and died at the age of 52. As he lay dead upon the bier, he opened and closed his eyes twice when the sacred species were elevated at the consecration. Leo XIII declared him the heavenly patron of all Eucharistic leagues and societies. One day Paschal heard the bells of a convent announce the approaching consecration at Mass. Such an ardent longing for God overcame him that, prompted by yearning and love, he involuntarily cried out: "O God, most worthy of all adoration, please let me see You!" Hardly had he uttered the prayer when a glowing star appeared in the sky. As he watched, the heavens opened; the star disappeared and was replaced by a chalice with the Host, flanked by two adoring angels. Christian art has selected this vision to show his chief virtue, viz., love for the most holy Eucharist. Patron: Cooks; Eucharistic congresses and organizations (proclaimed by Pope Leo XIII); Obado, Bulacan, Phillipines. Symbols: In adoration before a vision of the Host. Whoever intends to live with the Church must make the holy Eucharist the primary concern of his life. But he can accomplish this only by participating as actively as possible with the priest in offering the Sacrifice and by receiving holy Communion as part of the sacrificial banquet. Receive the Blessed Sacrament today with the desire to fully appreciate this great gift.